Jeff Chan has been traded by Rain or Shine to Phoenix for Mark Borboran and a future second round pick. 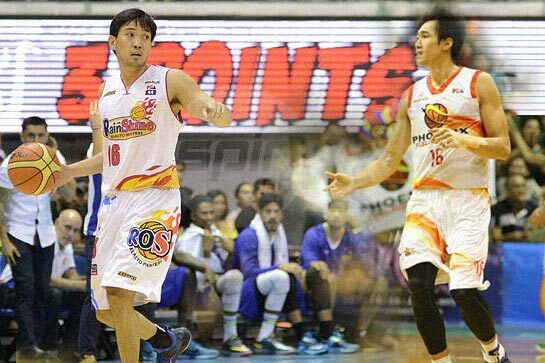 JEFF Chan's long association with Rain or Shine came to an end on Monday after the veteran shooting guard was traded to Phoenix for Mark Borboran and the Fuel Masters' second-round pick in the 2020 draft. Trade papers had already been sent to the PBA Commissioner's Office for final approval, and the two parties expect the deal to push through without a hitch. Chan actually already had a lunch meeting with Phoenix management also on Monday, a reliable source told SPIN.ph. "You will always be the sniper of RoS. I wish you nothing but the best with your new team," read part of Cruz's message that was accompanied by a photo of him standing side by side with Chan. The former Gilas Pilipinas marksman was the Elasto Painters' top gunner since coming on board in 2009 from Red Bull at around the same time Yeng Guiao started the rebuilding of the franchise co-owned by Terry Que and Raymund Yu. The Bacolod-born forward out of Far Eastern University was a vital cog in the franchise's two PBA championships, the last one coming in the 2016 Commissioner's Cup. Chan also played a major role in Gilas Pilipinas' runner-up finish in the 2013 Fiba Asia championships in Manila and the Philippines' return to the Fiba World Cup in Seville, Spain in 2014. He has career averages of 10.9 points, 2.9 rebounds, and 2.0 assists in his 10-year stint as a pro.